Somewhere between hoovering a brisket banh mi, people-watching, and wiping chocolate chunk cookie crumbs off of our clothes, we fell in love with the most unassuming jar perched on a wall shelf at hip Venice hot spot Gjusta. The label read "Seeded Honey," but we knew what that really meant: Buy me, break the seal, and spread me on toast or come ready with a big spoon. We cracked open the jar a couple of hours later after a proper Ploughman's platter had been assembled. The honey--a grainy, viscous paste you can chew--is made from soaking nuts and seeds in dark buckwheat honey, for as little or as long as you want. It has the sweetness you'd expect from honey, and unexpected crunch and dimension from the poppy seeds, sesame seeds, and walnuts suspended in the jar. Chef Travis Lett (of Gjusta and Gjelina) first got the idea while traveling through Turkey, where combining abundant seeds and nuts with dark honey is as logical and natural a combination as Gigi and Zayn, or peanut butter and jelly. 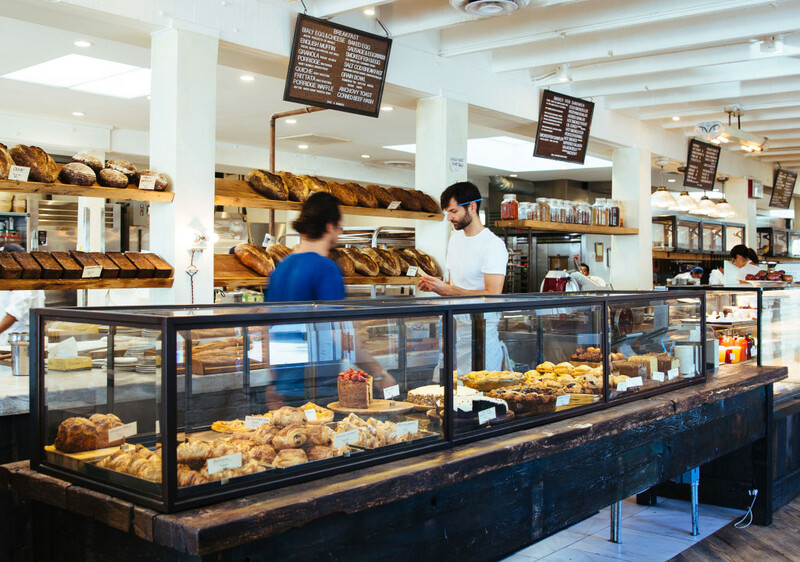 Both the seeded honey and the walnut honey are made in-house at Gjusta in Los Angeles, our number two Best New Restaurant of 2015 that occupies basically every position on the spectrum from juice bar and coffee shop to bakery, deli, market, and restaurant. But it'd take less than five minutes to make it at home. 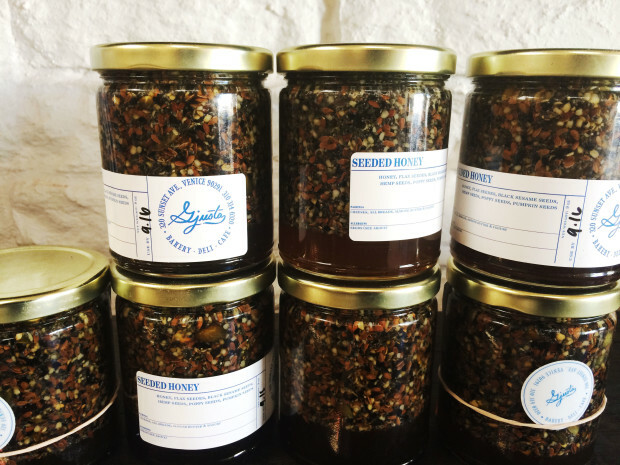 To make the Seeded Honey at Gjusta, they use local California buckwheat honey or avocado honey (made by bees from the nectar of the avocado blossom), and throw in a combination of flax, sesame, hemp, poppy, and sesame seeds, according to manager Cami Wong. The Walnut Honey involves...yep, just putting walnuts in honey and eating the combination together when you please. We'd recommend spooning it over oatmeal or yogurt, serving alongside a heaping cheese plate, or spreading it on toast. Just make room in your pantry for it: It's the easiest DIY project you'll do all year.